Our team are proud to announce the released a Social Icons module for websites, that will allow you to engage numerous visitors to your personal social media accounts. Try now the online demo for free! Furthermore, be closer to the people on a website by encouraging any person to compose reply and inquire thanks to Elfsight social widget. 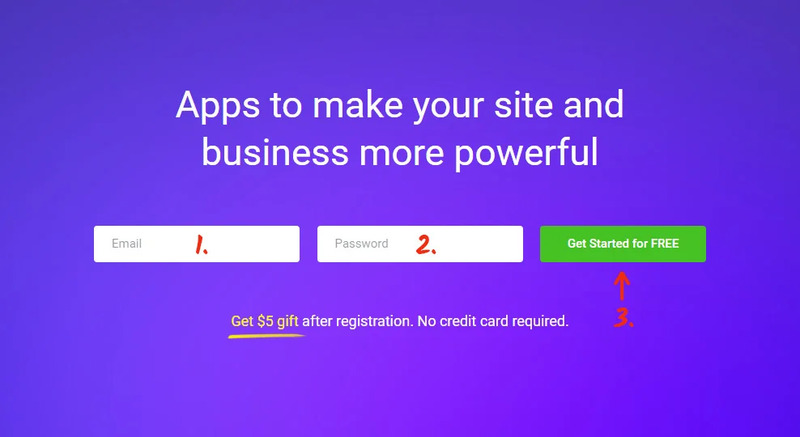 Get registered and implement two clean stages to install the solution on your website. The complete adjustment period is about 2 minutes. Compose the color palette and obtain the widget’s script. Create an account at the resource or log in at our service to advance the setup. Configure the icons and their layout in the app’s generator. Display the site’s domain at Elfsight Apps and obtain the product. Get your custom script to embed it to your platform. 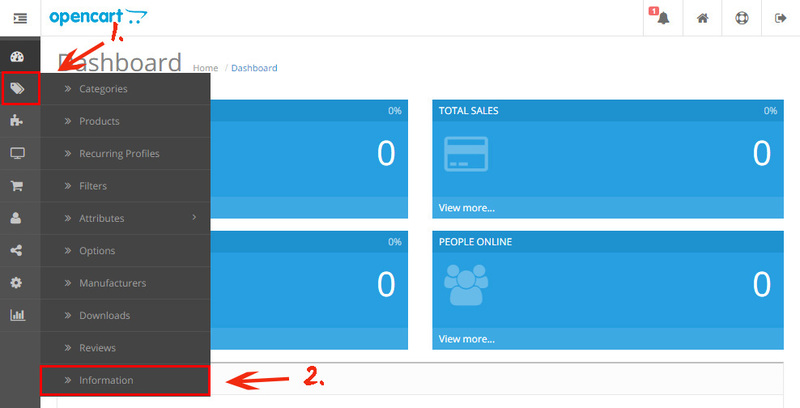 Implementing social icons to a OpenCart site. Go to the “Information” tab in the left-hand menu panel. Go to the page you want to place the icons to. 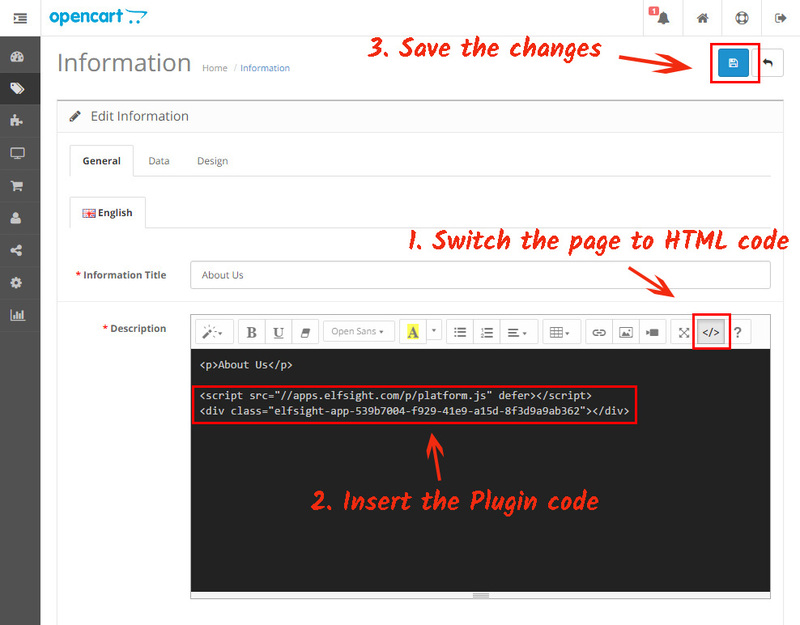 Switch the page content to HTML, paste the icons into the required place in the page code. Save the changes. • The icons has been successfully installed! 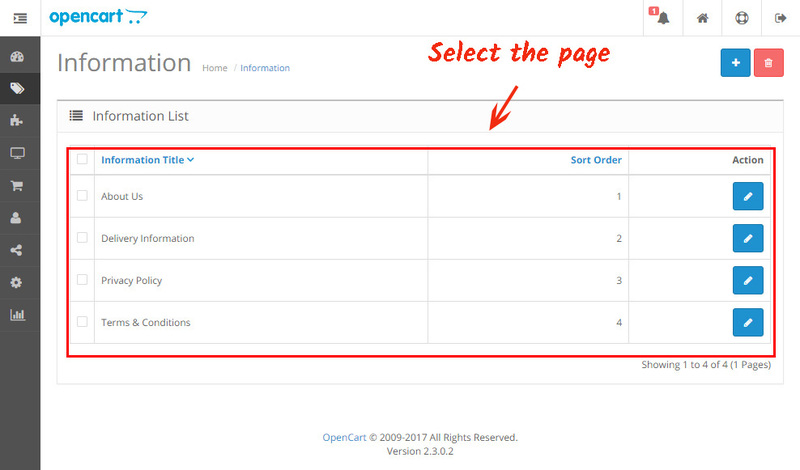 If you require to edit the icons’ widget’s appearance after the product has been inserted to a OpenCart online store, authorize in your own profile at Elfsight Apps and create the necessary configurations. After you’ve established these changes, the parameters will be applied to your resource automatically. Our app cuts the size of your online shop, which is a favorable impact on the platform’s loading speed. Build your own appearance and be in touch with your users anywhere. Elfsight Apps is a flexible service that consists of widgets for various CMS or site builders. Test our products’ free versions to develop your web resources’ productivity right now! There’s also a standalone version of the Social Media Icons module. Appreciate Icons online demo for free! Sample all the advantages of our Opencart social media icons right away.